I've reached the age when looking back, I realise that life is nothing more than a series of stupid little decisions that haunt you for a far longer time than you ever anticipated. Like jogging in your Goldlion button-fly boxer shorts, shaving your eyebrows and eating the white part of the watermelon in an eating contest. And then there is that one bad decision that is broadcast for all to see on the country's highest rated TV show - the National Day Parade. Yes, for the third time in The New Paper, I'm going to write about the one time I marched in the NDP back in 2001. It's a well that has yet to run dry. 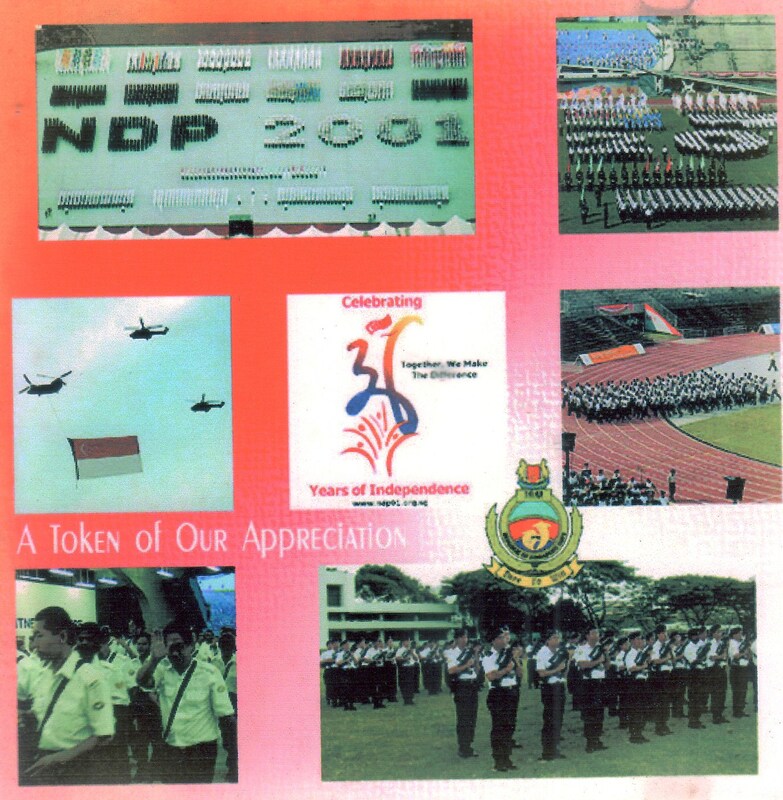 I was part of the navy's Third Flotilla marching contingent forming the number "2" of "NDP 2001" on the field. 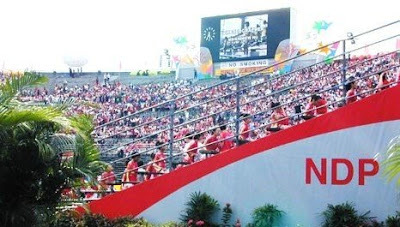 There were a lot of rehearsals, from March when I attended the first briefing until the day itself on 9 Aug. And during the rehearsals, there was a lot of waiting. And during the waiting, there was a lot of lying around - literally, at least for me. As anyone in The New Paper newsroom can attest, I like to get as horizontal as I can, as often as I can. Even as I'm typing this right now, I'm leaning so far back in my swivel chair I'm practically parallel to the floor. So whether the NDP rehearsal was held at Khatib Camp or National Stadium itself and no matter how filthy the surface was, as long as it was dry and I wasn't marching, you could find me supine somewhere. On 8 Aug 2001, I was ironing my No 3 navy uniform in preparation for the big day when I made one of those stupid little decisions that I would regret for the rest of my life. "There will probably a lot of waiting before the actual parade tomorrow. The creases will smoothen themselves out when I lie down on them. Even if they don't, no one will notice them anyway." I shrugged as if I didn't know what he was talking about. He sighed and said, "Too late to do anything now." I was beginning to feel a little self-conscious about my pants. Anyway, I was right. There was a lot of waiting and lying around before the parade. After five gruelling months of rehearsals, it all came down to this. When it was finally over, I rushed home to watch the parade on TV, thanks to the miracle of home video recording. I fastforwarded to the part where my navy contingent marched onto the field, hoping to see myself on TV. And there I was in the back row and even though it was a shot of my back, I could tell it was me - by my crumpled pants. To my horror, even from a distance, the web of ugly creases in my pants was as clear as day (and this was before HD TV). Even though the shot lasted barely a second, it was enough for me to feel that I had embarrassed the entire Republic of Singapore Navy. I noticed that every subsequent shot of the navy contingent would be from the waist up. I could imagine the TV director yelling desperately into the cameraman's headset: "Tilt the camera up! Don't show that idiot's crumpled pants! Hasn't he heard of an iron? For the sake of the nation, TILT UUUUUUP!" Let this be a lesson for all you participants in today's parade. After five gruelling months of rehearsals, don't let your big NDP moment be ruined by your laziness to iron your pants. Unless of course you're one of the pole dancers, then you won't even be wearing pants. Lucky you. Googling Paik Choo: The Bahamas? Oh, mama!